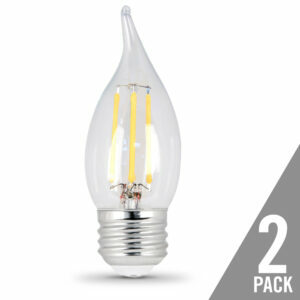 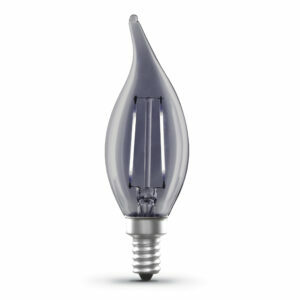 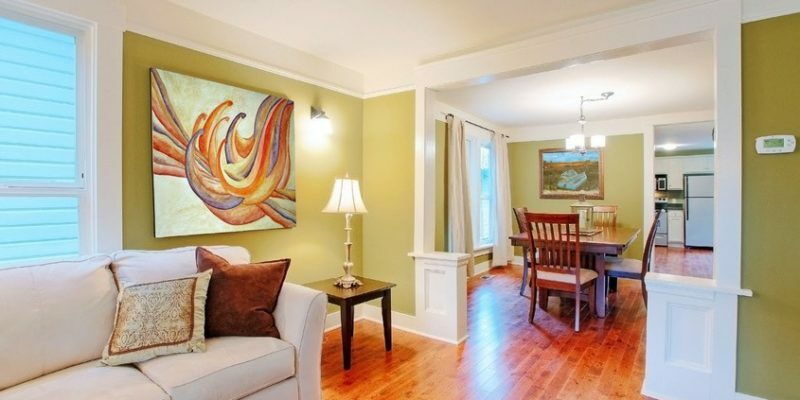 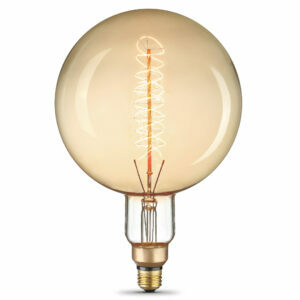 Looks like incandescent with much better energy savings. 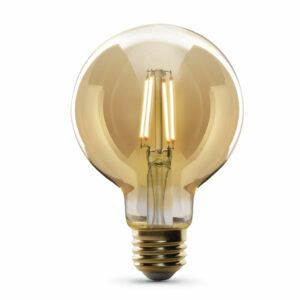 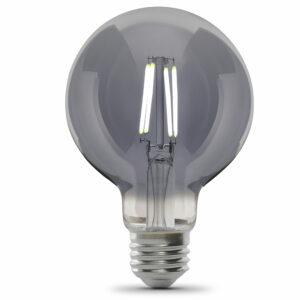 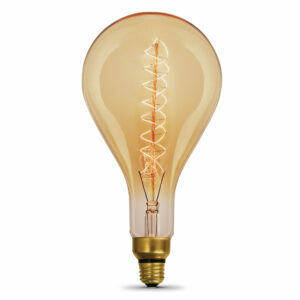 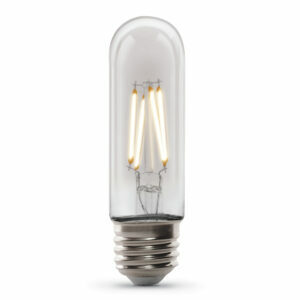 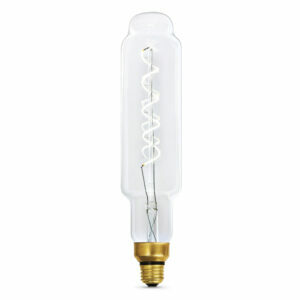 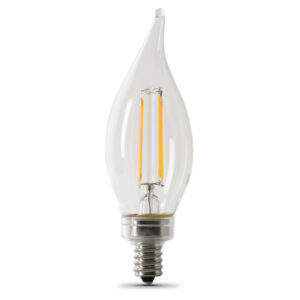 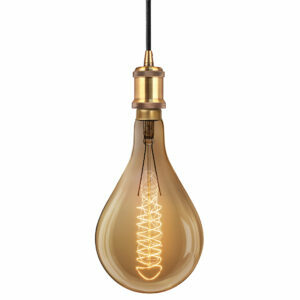 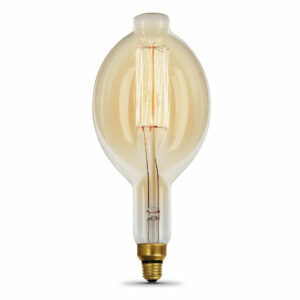 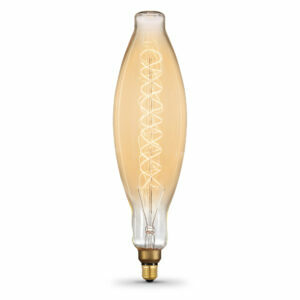 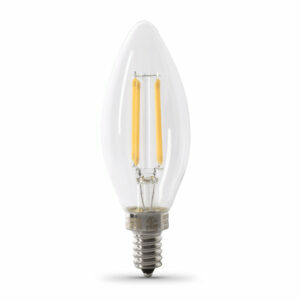 Combining classic style with modern reliability and energy savings with Feit Electric LED Filament Light Bulbs. 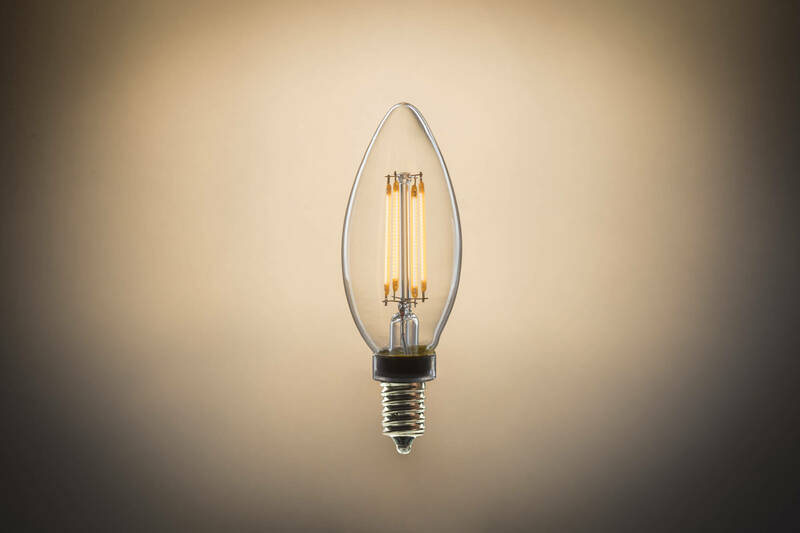 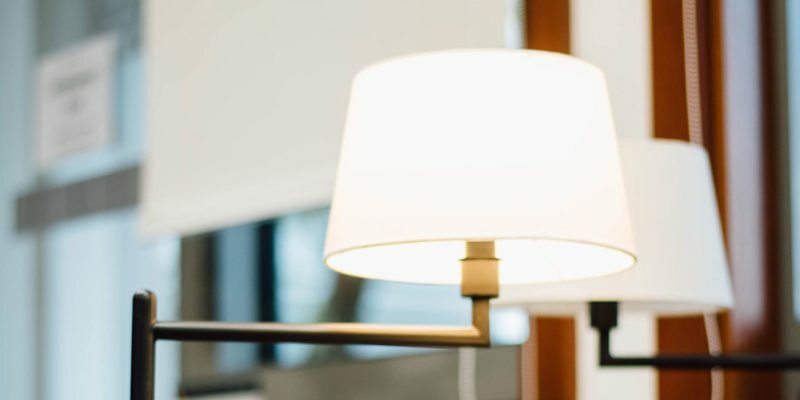 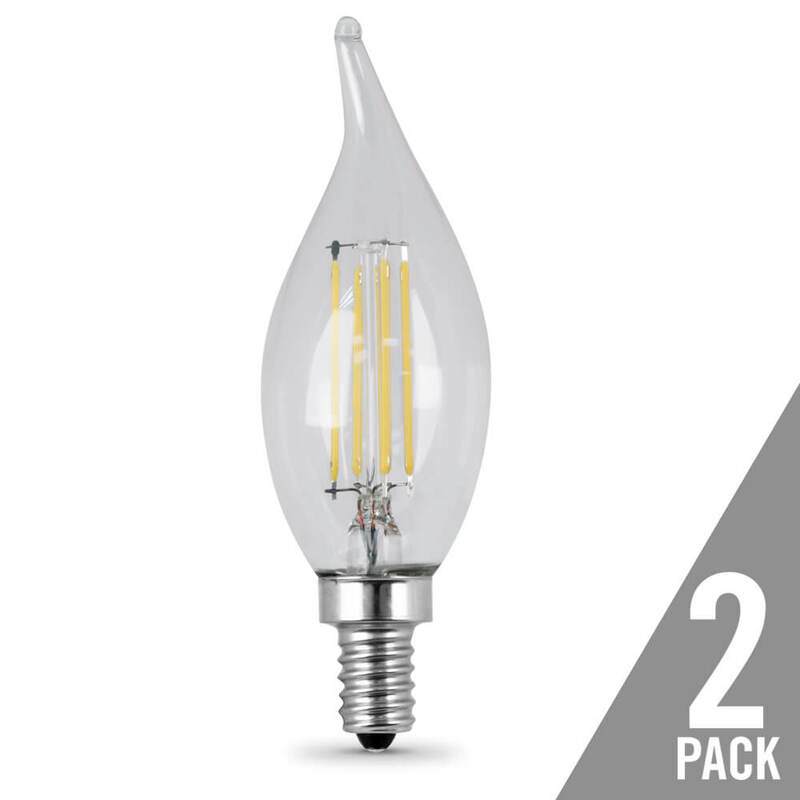 Filament LED Light Bulbs are made with LED exposed filament and wrapped in a clear or frosted glass housing to deliver an elegant classic look and feel. 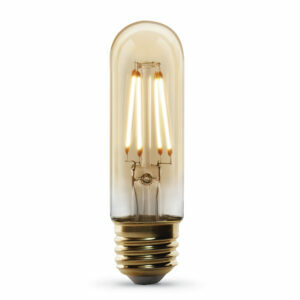 Traditional looking décor that looks great in a chandelier, vanity, or bathroom.